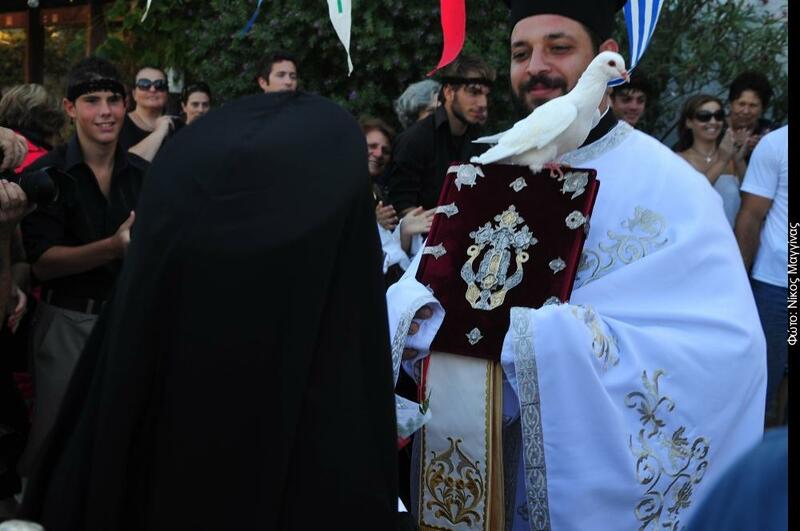 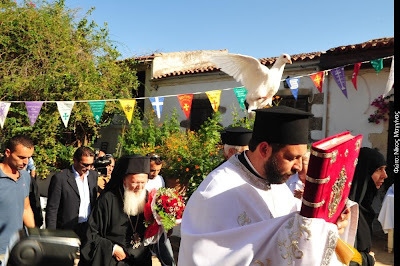 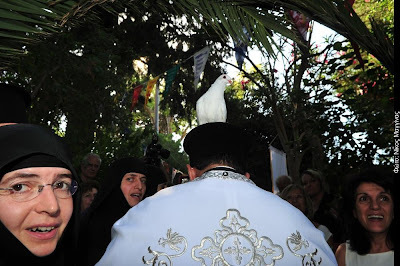 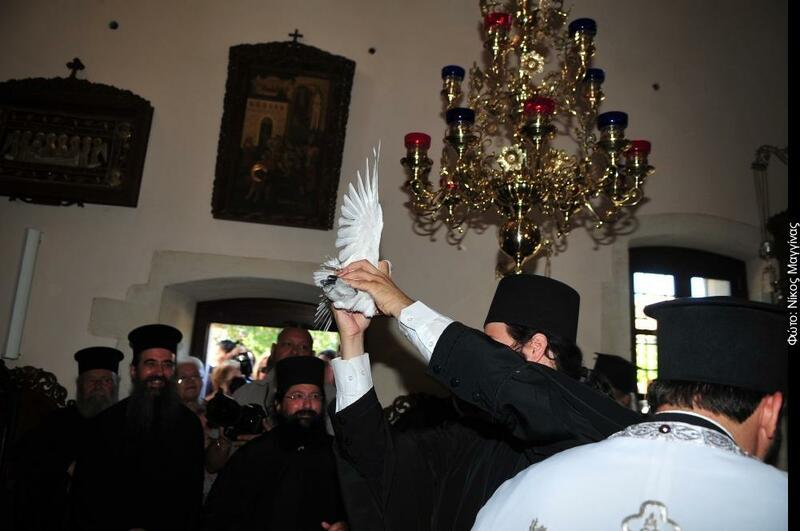 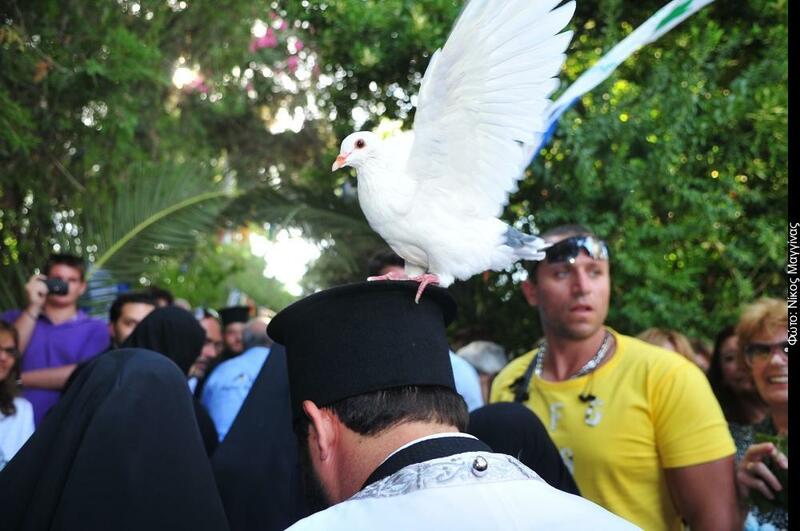 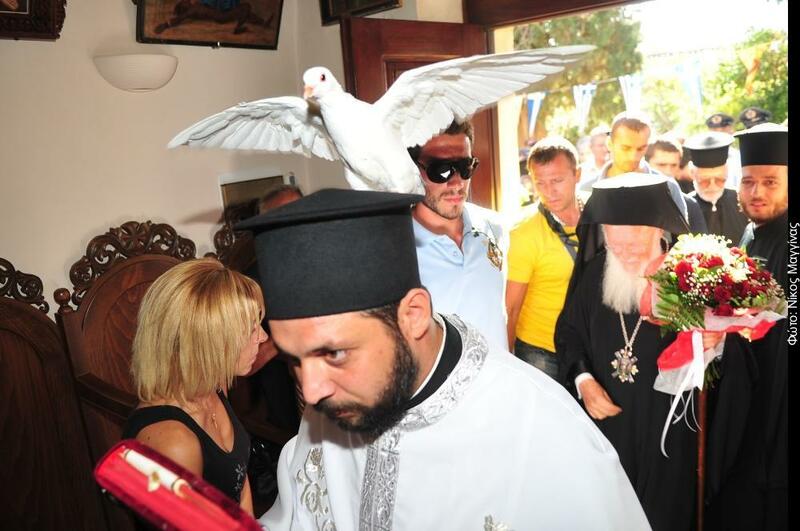 As Ecumenical Patriarch Bartholomew was about to enter the Sacred Monastery of the Honorable Forerunner in Korakies earlier today, a white dove perched atop the Holy Gospel which was held by the priest. This caught the people by surprise, and the Ecumenical Patriarch smiled and venerated the Holy Gospel as the dove remained steady. 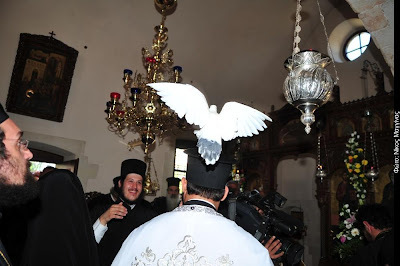 As the priest continued into the main church of the Monastery, the dove moved from the Holy Gospel to his shoulder then onto his kalimavki. 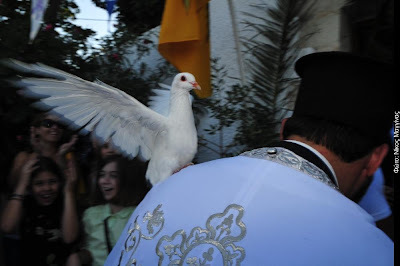 The dove remained there as the priest entered the church, until another priest took it and released it into the beautiful blue sky of Crete. 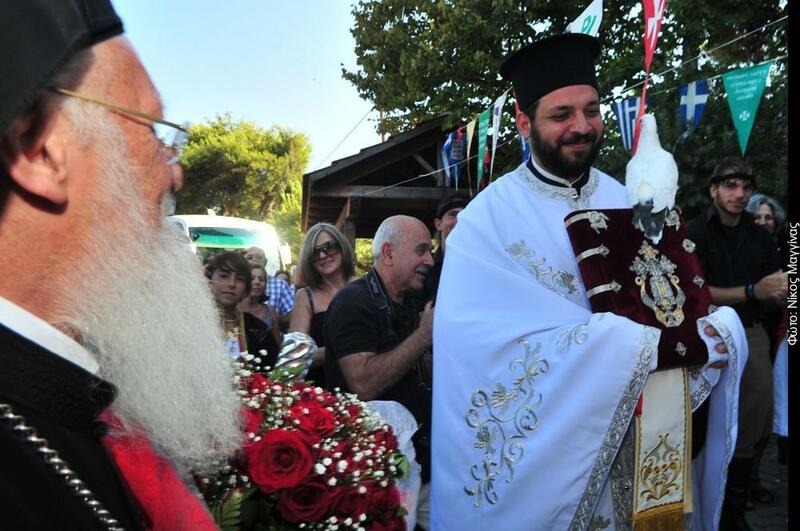 This event was called by hierarchs and priests a "welcoming" of the Ecumenical Patriarch to the island of Crete. 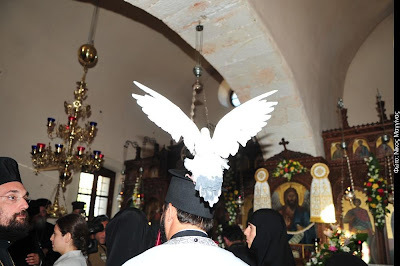 Of course, one cannot help but associate this event, which took place in a Monastery dedicated to St. John the Baptist, with the baptism of Christ in the Jordan when the Holy Spirit as a dove appeared above Him.